The prime minister survived a vote of no confidence in her government by a margin of 19 votes, thanks to the backing of the 10 members of the DUP. Had they switched allegiance, the government would have lost by one vote. United Kingdom Prime Minister Theresa May survived a vote of no confidence in her government on Wednesday, buying her time to regroup after her Brexit deal was rejected by Parliament earlier this week. Jeremy Corbyn missed an opportunity to pounce and call for a general election, and lead the country especially in these uncertain times. This was the weakest point in the Prime Ministers current tenure and she was defeated before the vote, taking two commons defeats and being humiliated by the second. But the fact that the leader of the opposition was unable to seize the moment, create the alliances around the house, demonstrates his inability to lead the government. It has been described as the job no one wanted. No leader wants to be labelled as ‘the Prime Minister that withdrew Britain form European Union’. However, it is these very tough and hard decisions that come with the job. Leaders, in the past, have taken tough decisions because of the know and believe that they can lead the country out of the gloomy days and into the brighter ones in the future. 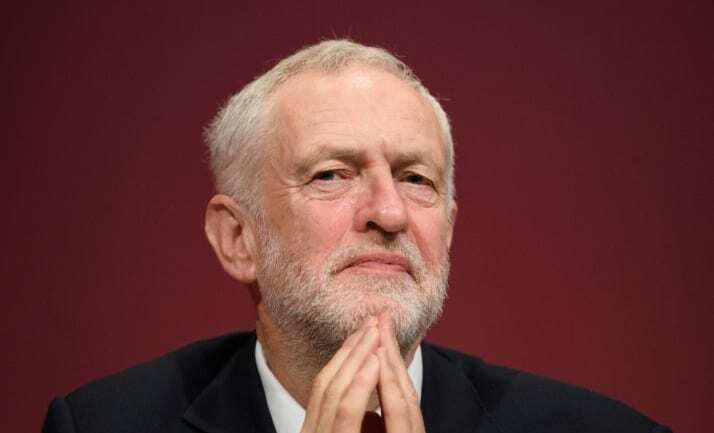 Members of Parliament voted 325 to 306 against the no-confidence motion, which was tabled by opposition leader Jeremy Corbyn on Tuesday evening after May’s European Union withdrawal plan was heavily defeated. Having survived the motion, the government remains in power and May is expected to return to Parliament with an alternative Brexit deal next week. Many observers find it unlikely that she will be able to craft a winning deal in such a short space of time, and the nature of Britain’s pending departure from the EU remains uncertain. Several eventualities remain in play. As things stand, the UK is legally bound to leave the EU on March 29, though the EU could give Parliament more time to pass related legislation. If no extension is granted and Parliament remains at an impasse, the UK could end up exiting the EU in late March with no deal in place. Theresa May is to meet MPs to try to find a way forward for Brexit, after her slim victory in the no-confidence vote. The British Prime Minister started meetings with the leaders the Lib Dems, the SNP, and the Welsh Plaid Cymru on Wednesday evening. After the discussions which will include other parties, she will bring an amendable motion to the House on Monday. Speaking outside Number 10 later on Wednesday, May said she understands that people getting on with their lives outside of Westminster must have found the last 24 hours “unsettling”. May said she was “disappointed” that the Labour leader had not chosen to take part in discussions, but added her “door remains open to Labour”. Had Jeremy Corbyn won, would he have been able to lead the country during these uncertain times. Questions about his calibre and leadership potential are being asked. The labour leader will undoubtedly build more momentum and impetus once Britain has left EU and Theresa May steps down. As will all the likes Boris Johnson and others waiting in the wings to take over. However, do we really want a ‘Sunshine Prime Minister’.